Become an expert in Radiology! 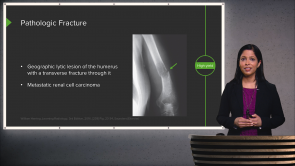 This course covers fractures and the clinical terms used to describe them. You will also learn the common presentations of arthritis and how to easily differentiate between the types. This course will give you the confidence to look at any radiograph with a fracture or arthritic change and be able to systematically identify the pathological process. Dr. Hetal Verma instructs the class and has over 10 years of experience teaching medical students and residents. She has also been invited as a speaker at multiple teaching conferences for other physicians, technologists and the community. She is currently a Clinical Instructor at Harvard Medical School. Learn to solve clinical vignettes and answer management questions with ease. Our course will make sure that you understand the topics instead of simply memorizing them. We will prepare you for your exams and you will be able to impress your attendings while on rounds! Start today and be on your way to success! 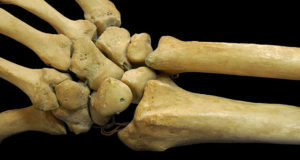 Bones constitute the supportive skeleton of the body. They are composed of an organic component of type-1 collagen with calcium, phosphate and hydroxyl ions deposited in hydroxyapatite. Bones are covered with a thin layer of periosteum which provides blood supply to help the healing of bone fractures. Bone fractures are the result of damage to the integrity of normal bones due to direct force or pathological processes. The main presentation of the different types of arthritis is pain. 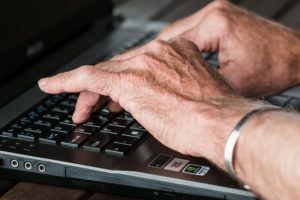 Pain characteristics, timing, and aggravating or relieving factors can help in the differentiation between degenerative and inflammatory joint disease; however, in this discussion, we will focus on the radiographic differences between the two and the outstanding features of specific types of arthritis. Fractures are a common acute presentation to the emergency departments worldwide. Fractures can be associated with severe long-term morbidity, increased mortality, a huge burden on the healthcare system, and may be intentional or accidental. Abuse, conflicts between people, falls, and motor vehicle accidents are the most common causes of fractures. The number of fractured bones tends to be higher in motor vehicle accidents and falls compared to fractures caused by the other causes. Her lectures are to-the-point and very well organized.